Emira Property Fund on Wednesday indicated some signs of recovery since decreasing its dividend payout in its 2017 financial year. Not only did it deliver a 2.5% increase in dividends, it entered the US, which is the world’s largest property market, becoming the first South African property company to do so. Emira declared a dividend per share of 70.65c and achieved compound annual growth in its net asset value of 6.7% per annum, results for the six months to December showed. This reporting period represented the first half of its 2018 financial year. CEO Geoff Jennett said the group now expected to deliver inflation-beating dividend growth in 2019 and beyond. “Despite persistently tough trading conditions, Emira has continued to strengthen our foundation of improved operating metrics. We have further re-balanced our portfolio out of underperforming offices and increased our exposure to alternative enhancing opportunities, including offshore investment and local residential property,” said Jennett. He said Emira found well-suited partners in the US for its expansion strategy offshore and had already invested in Ohio and Texas. The company partnered with US groups Rainier and Stark Enterprises to invest in grocery-anchored convenience retail centres. The venture has acquired three assets; two after the half-year period closed. Through its US subsidiary, Emira holds 44% equity in Belden Park Crossings Shopping Centre in North Canton, Ohio. 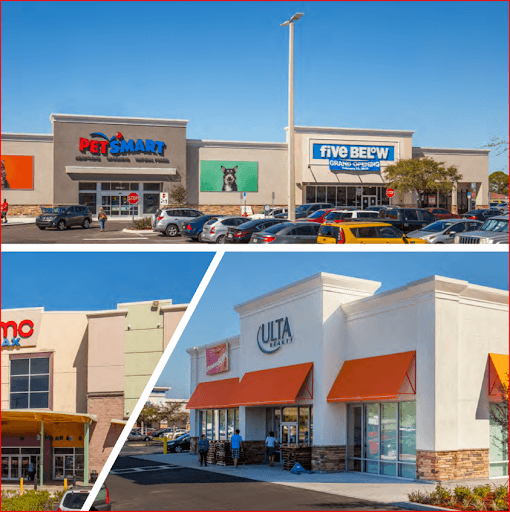 It also has a 49% equity interest in Moore Plaza in Corpus Christi, Texas, and 32 East Shopping Centre in Cincinnati, Ohio. Emira’s combined US investment is R332.2m, funded with proceeds of disposals. Emira owns 111 directly held properties in SA valued at R12.7bn. The company increased its net income 7.9% during the half-year period. It also continued to improve vacancies to 4.5% from 7.0% in the comparative half year. Office vacancies also came off markedly, dropping from 16.1% at the end of December 2016 to 9.4% at the end of December 2017. Emira has been on a mission to reduce office vacancies since they peaked in December 2011 at 19.8%. Evan Robins, listed property manager for Old Mutual Investment Group’s MacroSolutions boutique, said Emira’s results were pleasing to investors who felt the company needed to improve its strategy. “They showed a significant improvement and now they expect to return to normal distribution growth next year. Cost control was also impressive,” said Robins. Executive director at Meago Asset Management, Jay Padayatchi, said analysts were expecting more information about Emira’s domestic and international strategy going forward but a lot of positive news had been priced into Emira’s share price in recent months. The price has risen 12.56% year to date. Original Article posted in www.businesslive.co.za on 15 February 2018.